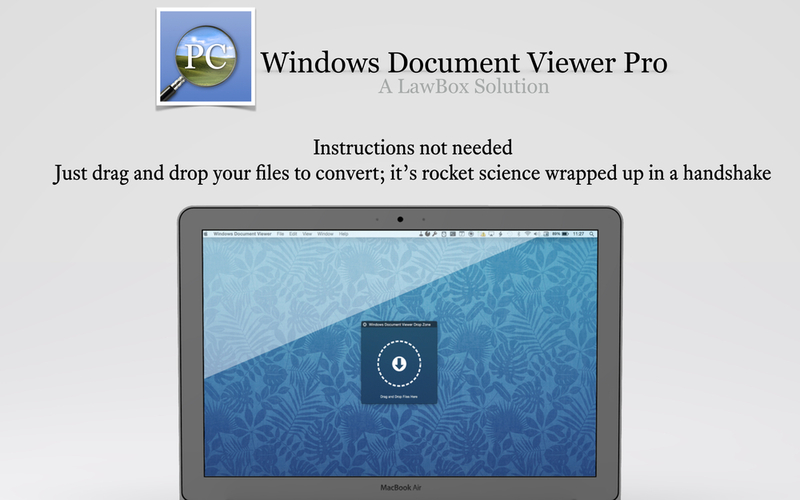 Need to view a document from a Windows PC on your Mac? There's an app for that! 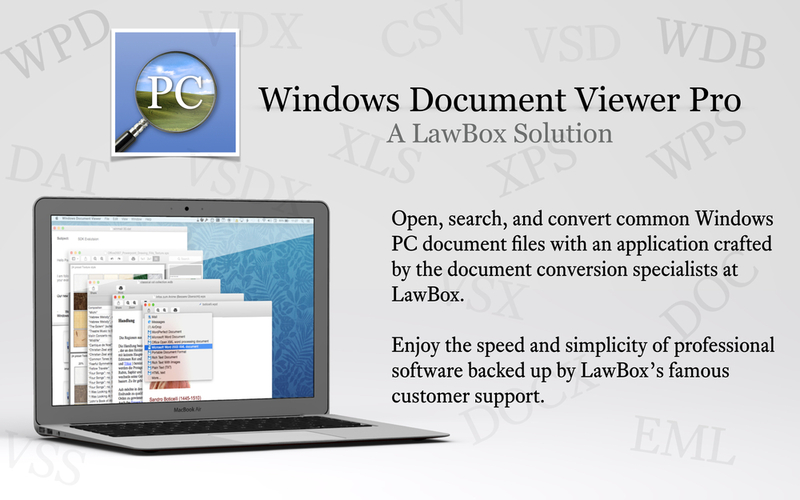 Windows Document Viewer can open, display, and convert the most popular Windows document file formats, and can save in most popular document formats, including DOC, RTF, CSV, XLS, PDF, and HTML. 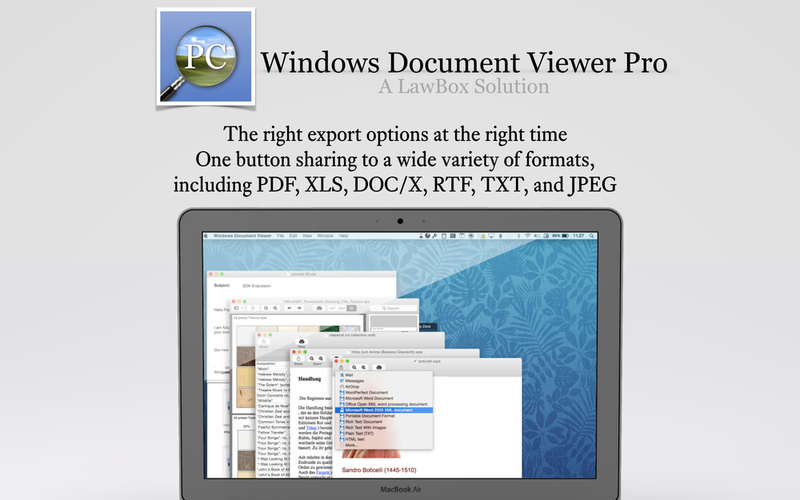 Windows Document Viewer Pro requires Mac OS-X 10.9 or above. Can I Create Documents With Windows Document Viewer Pro? No. Windows Document Viewer is not an editor: it is designed to help you view Windows documents and convert them to a format that other mac applications can read and edit. LawBox will fix your problem, or walk you through Apple's refund process. We don't believe that anyone should have to pay for software that doesn't work for them. 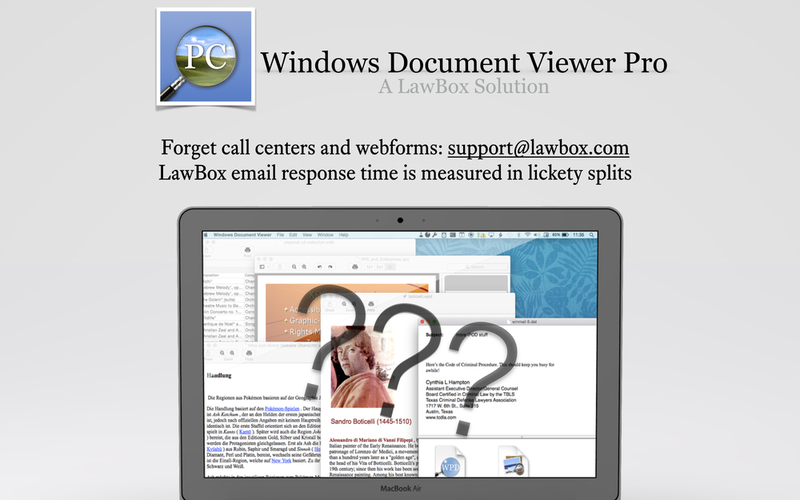 If you run into any trouble with WDB Viewer Pro, simply send an email to support@lawbox.com and let us know what's going on; we'll get you up and running, or provide you with instructions on how to request a refund. No need to call: our email response times are measured in lickety splits.